When it is time for a new roof, trust the professionals of Crown Roofing to provide the highest quality work with friendly, responsive customer service. From your very first telephone call or email, through every stage of the roofing project, you’ll be treated with care and attention that you would simply never expect from a roofing contractor. We want to make your experience with Crown Roofing as pleasant and enjoyable as possible! We also promise to put our finest effort into your new roof. Our installation crews approach every roof as if it were our own, making an extra effort to ensure the roof is secure and weather tight. We want you to sleep soundly in the knowledge that you are well protected by a Crown roof over your head! 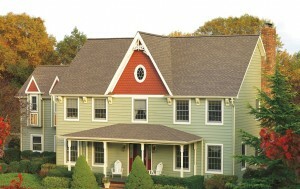 Quality, Dependable Roofing is Our Specialty. Crown Roofing is committed to using only high quality roofing products and materials on every Vancouver roofing installation we perform. We partner with top manufacturers including GAF and Owens Corning to ensure that every shingle we use, every eave we position, all the flashing we secure, and every other element of your roofing system is designed and fabricated to provide lasting performance and value. Another advantage of Crown Roofing’s status as factory-certified roofers is our ability to offer our customers industry-leading warranties that are fully backed by our manufacturers. Another layer of protection for your home!